I love non-traditional registries - some brides just don't need a new blender! 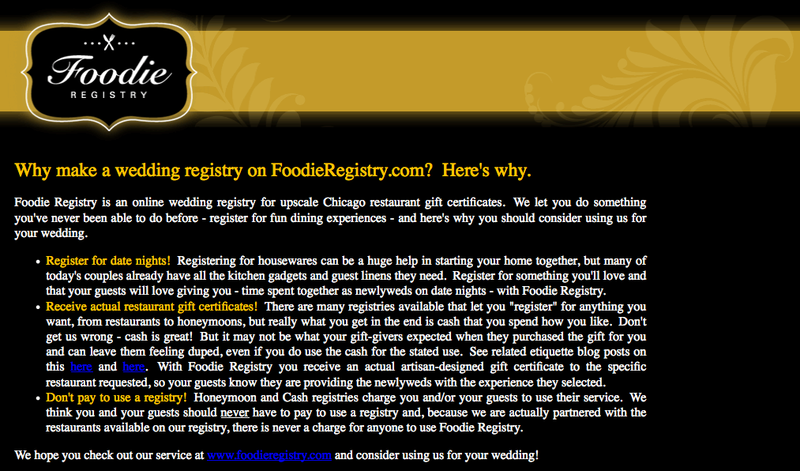 Foodie Registry is a new registry site for Chicago foodie couples or for those who just enjoy a nice night out. If this free site had been around when I got married, I would have definitely registered for a gift certificate for dinner at Spiaggia and brunch at Perennial. I also love the idea of being able to give the gift of a lovely (and delicious) date night to newlywed friends. 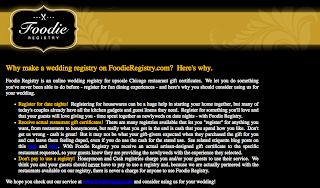 Would you consider using Foodie Registry? What fabulous Chicago eateries would you register for?